Who knew it was possible that in one of the worst economic times our country has ever seen these delicious delectibles can be held accountable for boosting employment. In New York City, specifically, the latest unemployment numbers have gone down thanks to bakeries. 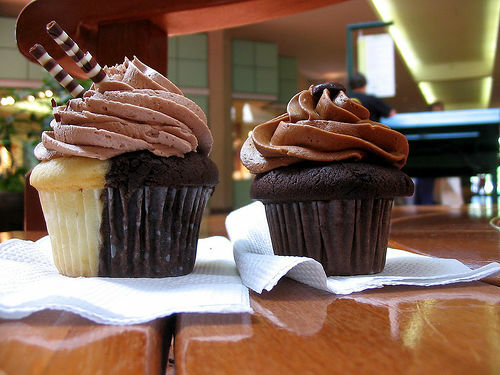 “One segment of the industry that seems to be adding the most outlets is cupcake cafes. This could be a fad, or not,” Barbara Byrne Denham, chief economist at real-estate services firm Eastern Consolidated, wrote in a report Thursday. I LOVE IT! In a million years I never would have associated the thought of a cupcake fad boosting us economically. I mean I guess in my personal cupcake obsession I have been giving back plentifully to the bakeries and stores for supplies. This sounds about right, don’t you think? They say chains and smaller shops like CRUMBS Bake Shop and Butch Bakery are all staying strong. I mean how could they not with such yummy treats. Great article with more details here!